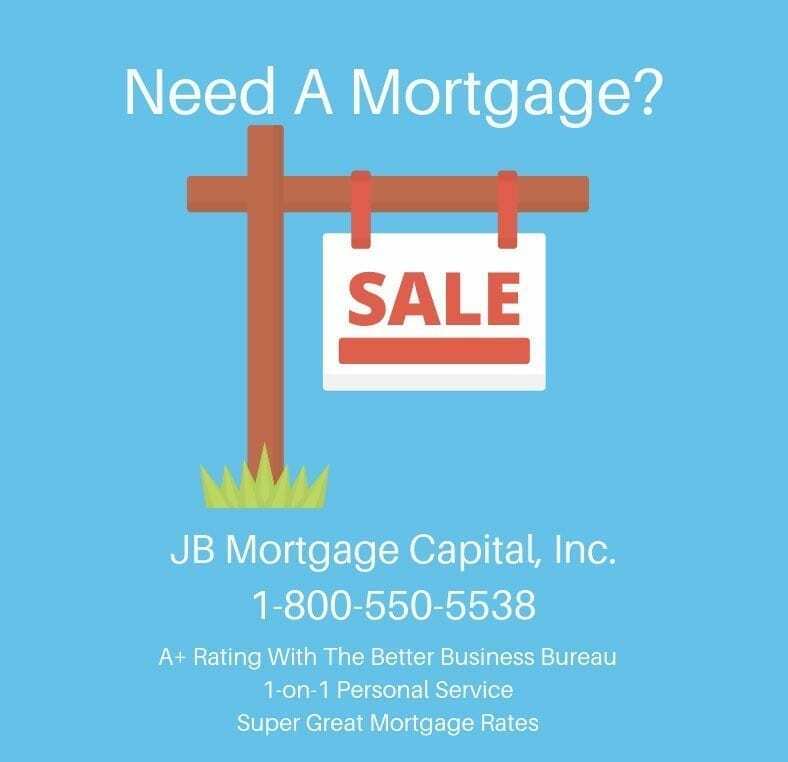 The Best California Mortgage Rates | JB Mortgage Capital, Inc.
claims in their advertising can get fairly outrageous and many mortgage companies have been fined for misleading the public. Especially in California, where the competition is fierce among mortgage companies who are fighting “tooth and nail” to earn your business. Have you heard a radio spot or maybe even talked with a loan officer that claimed something along the lines of “We have the best mortgage rates in California”? It’s something that happens a lot and unfortunately for consumers it’s hard to know which company has “the best mortgage rates” because it seems like so many of them advertise that slogan or something very similar. What is a consumer to do to truly find the best mortgage rate? First step is this; only work with mortgage companies that have a top rating with the Better Business Bureau (A or A+ rating). Working with top rated companies ensures you’re in go a hands when it comes to closing your loan. Avoid mortgage companies that have low ratings and companies that are high pressure. Second, make sure the loan officer has at least 5 years of experience and is willing to take the time to answer any questions you have. If the loan officer is slow getting back to you and/or doesn’t answer your questions directly you might want to find a new loan officer to work with. Shopping for the best California mortgage rates is risky when you’re working with company that has a low rating with the Better Business Bureau. Websites like Zillow and Yelp along with Facebook can also be helpful when trying to determine which mortgage companies you should request quotes from. However I believe those sites are secondary and the best place is the BBB. The reason is simply; they require members to hold certain standards of excellence and they screen all the reviews submitted. Lastly; if you have an issue with the mortgage company you work with you can’t go to Facebook and ask them to help you resolve it. You can with the Better Business Bureau. 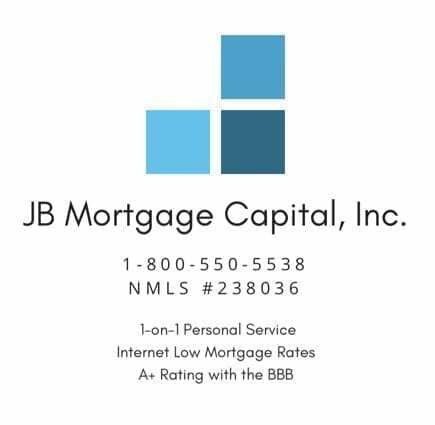 Facebook: JB Mortgage Capital, Inc.
Once you’ve located 2-3 companies; then request a rate quote and this part is so important: make sure each mortgage company you’re working with has the exact same information so that you can compare apples to apples. For example; if you tell one company that you don’t need any cash out (thus not a cash out mortgage loan) but then tell another company that you wouldn’t mind $10,000 in cash for some upgrades to the home then you are NOT comparing the same loans/rates. That is because one is with no cash out; and one is with a small amount of cash out (and cash out loans usually come with a slightly higher rate and/or fees). So make sure that each mortgage company has the exact same details (loan amount, house value, income, credit etc.). This way when you receive your quote; you’ll be comparing apples to apples and it will give you a greater opportunity to find the best California mortgage rate. Here is something else you can to do make sure you obtain the best mortgage rate possible; when you move forward with a mortgage company get your rate lock in writing! Did you know some mortgage companies will not allow you to lock in your mortgage rate until just before closing? Others require you lock upon application which means you have no options to see if market conditions improve. Never assume your mortgage rate is locked in; always request written confirmation. amount quoted is for everything in total; not a single penny being left out. Reason is that some loan officers just quote lender underwriting fees; and leave out points and or 3rd party fees. To obtain up-to-date information on current market conditions and interest rates be sure to visit our current mortgage rate updates. So make sure you ask; is this the total for all the fees being charged. And feel free to contact us at 1-800-550-5538 to get our best California mortgage rates! We have a top rating with the Better Business Bureau and the Business Consumers Alliance. Loan Officer Kevin O’Connor has over 14 years of experience. He works with the client from application to closing and he takes pride in providing a high level of service to the clients he works with.